Um, I went to the flicker stream. SHE is the DJ. Yikes. I am 95% sure this dude is in the military. 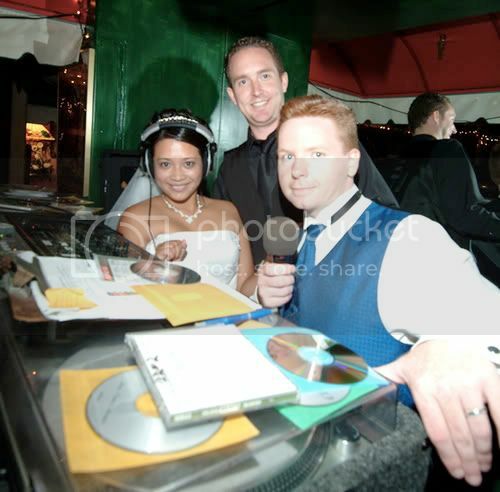 I presume that the Rick Astley-looking guy is her husband? I like the new trend of you posting the submitter's description of their photo, it's almost way better than anything a third party could think up! This is the weirdest play-list I've ever seen.